Posted September 24, 2018 by finnfemme & filed under Beauty, Fashion, Vintage. 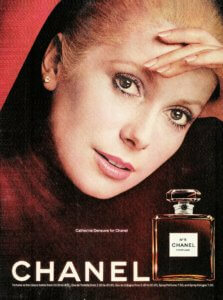 The classically beautiful French actress, Catherine Deneuve, did a fabulous ad campaign for Chanel in the 1970s. What could be more perfect than an iconic French actress modeling for an iconic French fashion house? This 1974 ad for Chanel No. 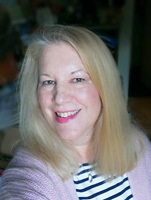 5 perfume shows Catherine in a somewhat relaxed mood, with hand to forehead. Of course she looks as elegant and gorgeous as always. The Chanel No. 5 perfume shown is in its classic glass bottle. Perfume prices (in 1974) were from $10 to $400. Eau de Toilette from $7 to $20. Eau de Cologne from $5 to $20, Spray Perfume $7.50, and Spray Cologne $7.00.